Singing with sounding light this week. Three concerts left! Won't you please join us? Hello Friends, I will be performing with Vocal Arts Ensemble, under the direction of Robert Porco this Sunday at 5 pm, at Memorial Hall in Cincinnati, OH. Please spread the word, and join us if you are in the area. We will be singing works of Britten, Vaughn Williams, Poulenc, Gorecki, Durufle, Copland, and more. 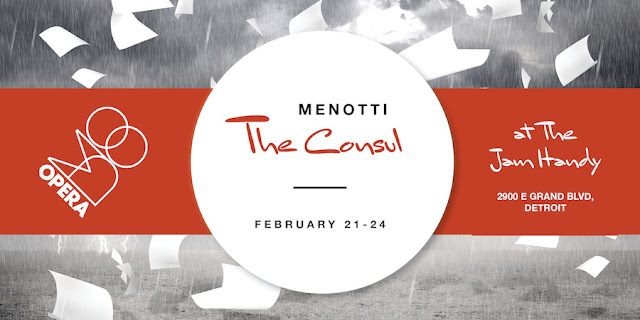 Opera MODO presents Menotti's The Consul. An important show, as relevant today as it was when Menotti composed it in the 1950's. We open Thursday at the Jam Handy in Detroit. I will sing the role of Vera Boronel, which is double cast, on Thursday/Saturday. Join us in the beautiful Seligman Performing Arts Center for a shining night of music, art, silent auction and delicious strolling hors d'oeuvres to benefit Gleaners Community Food Bank and Many Voices ... One Song. Soloists from the Sounding Light choir, joined by founder Tom Trenney, will delight you with cabaret selections from Broadway, Gershwin, and other favorites paired with art masterpieces for a multi-media experience. Before the concert, browse the Silent Auction and bid on experiences and items donated to benefit Gleaners and MVOS while sampling savory treats catered by the Give Thanks Bakery in Rochester, voted a top 10 finalist in the 2018 Best of Detroit contest. This shining evening will conclude with a special joint performance featuring Bella Voce youth choir from Detroit Country Day joined by the soloists and members of the Sounding Light choir. It will be an evening to remember, as we gather to provide food for those in need and to support the arts in our community. So humbled and happy to have been a part of this recording. 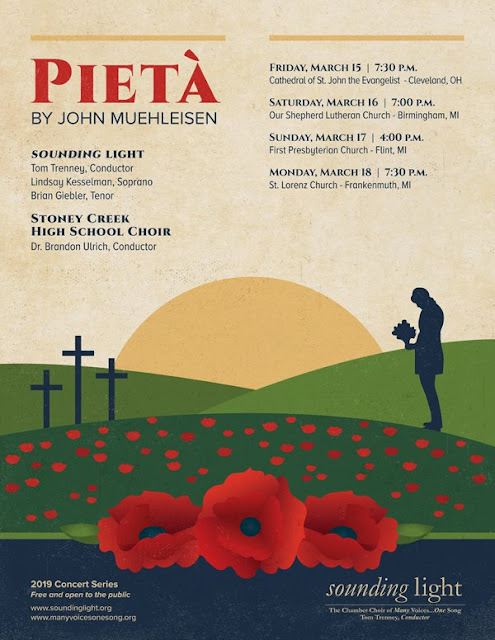 Kile Smith's Canticle is a work of remarkable beauty, brought to life by Craig Hella Johnson as director, and the incredible artists of Vocal Arts Ensemble Cincinnati. Please take a listen. This recording is now available on Amazon and ITunes. We have a new recording to share. This is Still, Still, Still/The First Noel, recorded live at First Presbyterian Church of Birmingham, MI on December 23. I am singing with Allison Vernon, soprano. Thank you for listening!